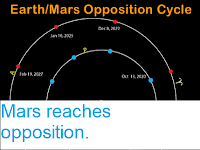 Sciency Thoughts: Neptune reaches opposition. 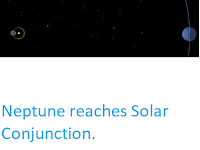 The planet Neptune will reach opposition (i.e. be directly opposite the Sun seen from Earth) on Friday 7 September 2018. 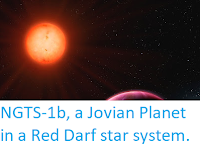 This means that it will both be at its closest to the Earth this year, about 28.93 AU (28.96 times the average distance between the Earth and the Sun, or about 4 328 336 000 km), and completely illuminated by the Sun. 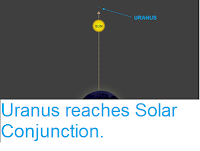 While it is not visible to the naked eye observer, the planets have phases just like those of the Moon; being further from the Sun than the Earth, Neptune is 'full' when directly opposite the Sun. As this falls only two days before the New Moon, the prospects for viewing for those equipped with suitable telescopes is quite good. 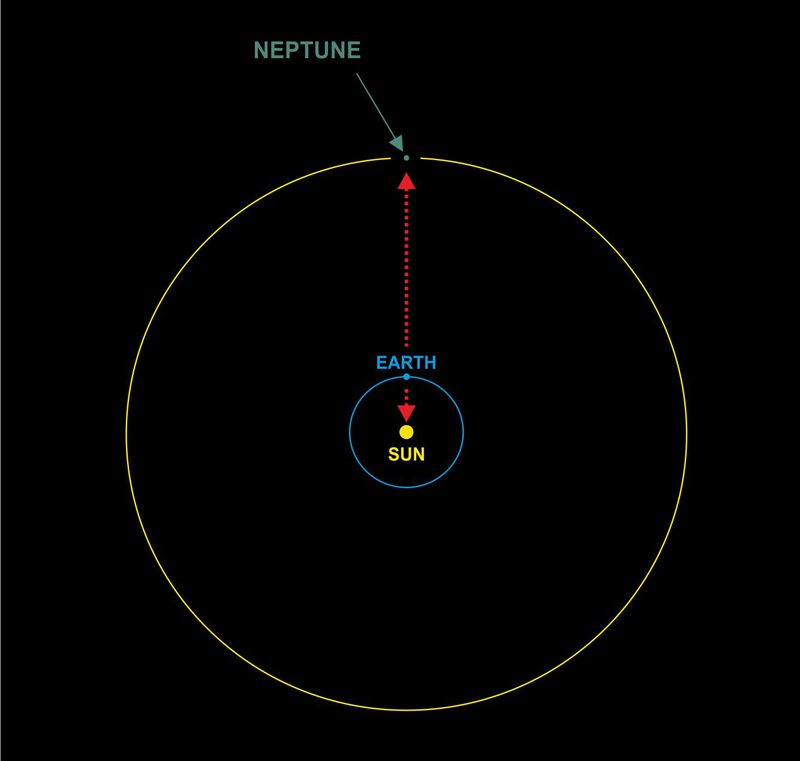 The relative positions of Earth and Neptune at opposition. Derekscope. 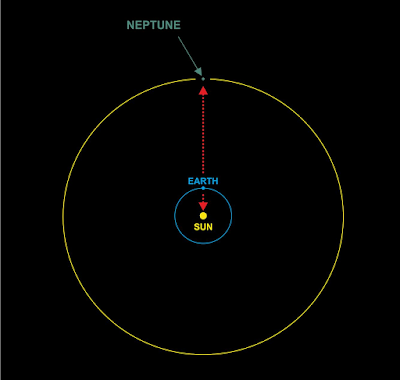 Neptune orbits the Sun at an average distance of 30.11 AU, completing one orbit around the Sun every 165 years. 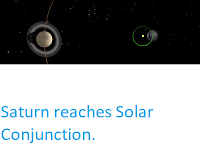 This means that the planet is almost stationary compared to the faster moving Earth, so that it reaches Opposition only four days later each year than the year before, and reaches Solar Conjunction (when it is directly on the opposite side of the Sun to the Earth), roughly six months later.